HOUSTON, TX, September 29, 2017 – Dare to tread into Hell for a second time with Sentai Filmworks’ newest addition to the Fall 2017 simulcast lineup: Hozuki’s Coolheadedness 2. The second season of the supernatural comedy Hozuki’s Coolheadedness thrusts viewers back into Eternal Hell! Just as in this life, the afterlife needs a calm troubleshooter to deal with the bureaucratic headaches that come from keeping things in order. After all, Lord Enma is a very busy (and kind of incompetent) overlord, and he needs the help of his most charismatic shadow hero to keep Hell from calling into chaos. 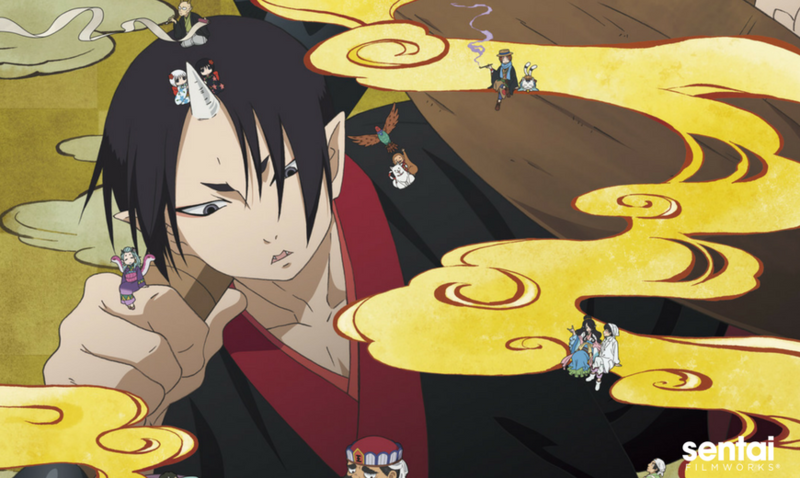 Enter Hozuki: a cool and collected demon who’s badly in need of a vacation. Kazuhiro Yoneda (Kabukibu!, Yona of the Dawn, Hozuki’s Coolheadedness OAV 2) acts as director for the second season. Midori Gotou (Clean Freak! Aoyama-kun), who was in charge of script writing for the first season, returns for the same role. Studio DEEN (Haven’t You Heard? I’m Sakamoto, Rurouni Kenshin) will handle animation production for the second season. Hozuki’s Coolheadness 2 is scheduled for an October 2017 broadcast in Japan. It will soon be available to stream on select digital outlets for the Fall 2017 simulcast season, with a home video release to follow.